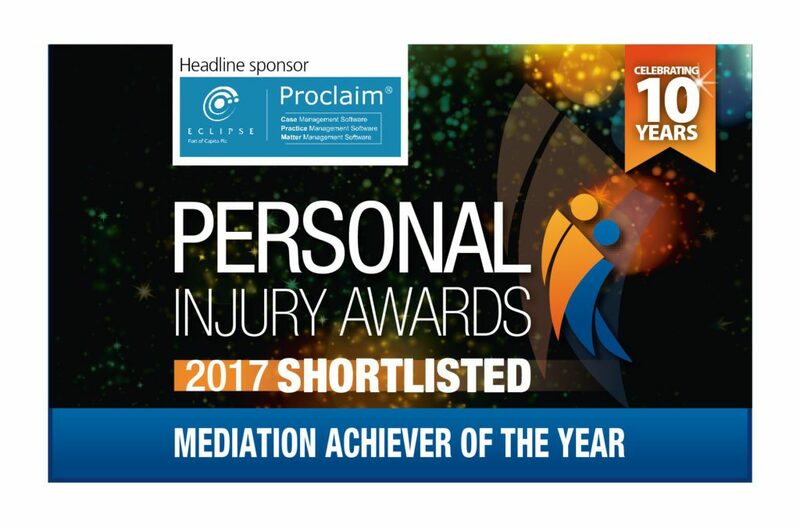 We are proud to announce that Peter Causton has been shortlisted for another award: Mediation Achiever 2017, taking into account his involvement in personal injury mediation. Now in their 10th year, the Eclipse Proclaim Personal Injury Awards are taking place on 29th November at the Hilton Deansgate, Manchester. The awards will highlight and celebrate the excellence of individuals and organisations across the personal injury claims sector. At present, personal injury mediation is a growth area and personal injury lawyers are beginning to recognise that mediation can be a cost effective way of resolving personal injury claims, as opposed to joint settlement meetings which lack an independent third party negotiator to help resolve claims.